Once you have your website up and running you may wonder how to bring traffic to it. Most people start promoting their websites at their own by blogging, directory submissions or paid listing in search engines. And after spending lot of time and money, their website do not appear in search engine rankings. According the available statistics, 85% of users come to your website through search engines, hence gaining top ranking in SERPs (Search Engine Result Pages) is very crucial to get unending traffic to your website. Search Engine Optimization (SEO) is a process to make your web pages search engine friendly, implementing the meta tags and keywords, content optimization and finally working on link building to gain quality links. A website can prove a most reliable and highly profitable venture if promoted and marketed in a professional way. Website is your organization's face to your online customers, hence website promotion and gaining top ranking in various search engines like Google, Yahoo, MSN, Altavista, Lycos etc. is very essential and important step. But for Search Engine Optimization (SEO) to be really effective, it needs to be handled by web professionals with specialized knowledge of web promotion and who has sound knowledge and understanding of search engine algorithms. Achieving top ranking in various search engines requires great deal of specialized knowledge in the field where things are constantly in changing. If you don't have the time to spend or complete knowledge of the Search Engine Optimization (SEO) process, you can outsource the search engine optimization campaign to us to get your website top position. Though, Panacia Softwares cannot guarantee you that you will be a #1 ranking on Google, Yahoo, AOL, or any other major search engines. 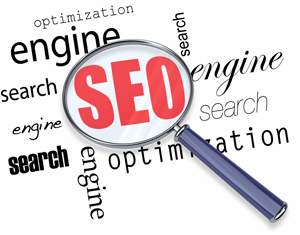 However, if one follows the guidelines of search engines, top ranking is achievable. It is not something impossible, sometimes it may take more time to see results but most of the times, ethical seo campaign yields good results. Your website may be very well designed having attractive flash or pics, it might be very impressive to the users but there are chances that it might not be seo friendly website. Implementing Meta tags, keywords within the content, Image optimization is the first and foremost step to be taken towards search engine optimization.